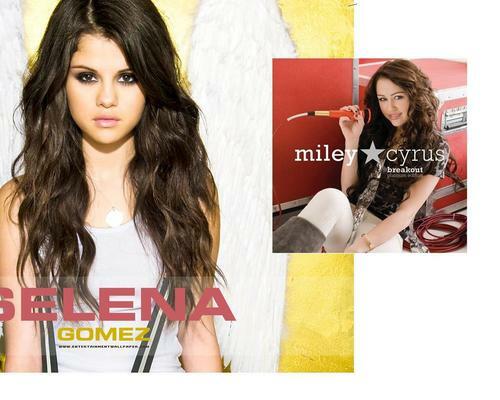 miley vs selena. . HD Wallpaper and background images in the Miley Cyrus vs. Selena Gomez club. This Miley Cyrus vs. Selena Gomez wallpaper might contain segno, manifesto, testo, lavagna, poster, ritratto, headshot, primo piano, and closeup. good miley and emily i miss u.